Desire runs deep within us. Though many Christians might associate desire with ‘the flesh’, the sin-loving nature that has marred us so well, such is not inherently the case. As missionary E. Stanley Jones said: We’ve been naturalised in the unnatural. We were not created for sin. Desire runs deep across all of life. And it’s a good thing. Imagine desire-less folk, the droves going through the routine each and every day. I’ve been there. Imagine such folk even within the church. Well, we don’t have to imagine much, for the droves also harken the stone-erected buildings or palatial fortresses on many a street corners. As Nietzsche said: God is dead. God remains dead. And we have killed him. His lament is our lament as well. We’ve killed God…or we’ve at least made him the oldest, most boring white-bearded Gandalf. And a God who is dead or almost dead cannot carry any desire. Right? But God is both the great desirer and the great desire. I believe this to my core. He feels, he weeps, he dances, he gets angry, he is jealous. His desires evoke emotions. And our every emotion, feeling, thought (more than brain activity), action is to be directed toward the good, desirable one. We simply don’t desire him because we don’t really believe he’s that desirable. Yes, a good theological side-step would be to announce that all of these feelings, emotions and desires of God are simply anthropomorphic – they are simply associating human qualities with God. Remember, he’s not really like us. And we don’t want to form him within our own image. Again, let’s tame him. Let’s pronounce he’s dead. If at least not actually dead, we can treat him as if he is dead like all other stone-built deities. Or, perhaps, as another great mind once said: Aslan is not a tame lion. I cannot tame the scandalous, desire-filled one. Of course, our desires can go unchecked, becoming deeply naturalised in the unnatural of sin and brokenness. We must guard the heart from which our desires, thoughts, emotions and feelings flow. But it is a wellspring of life. Something’s got a flow from it at some point. Unless we’ve blocked it completely. I’m currently reading a book by philosopher-theologian James K.A. Smith. 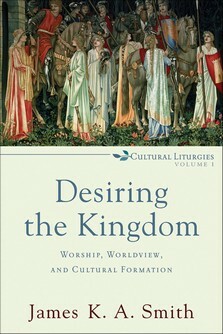 It’s entitled Desiring the Kingdom: Worship, Worldview, and Cultural Formation. It’s interesting because, in the book, Smith brings forth a perspective on education that is not usually recognised – that of desire. How do education and desire connect together? Most will agree that education is not simply about passing on information. And so we think of creative ways to educate – audio/visual aspects. But this is bigger than providing a video clip or PowerPoint presentation to help make our point. It’s about speaking to desire. And education is not simply what takes place in an institution. Education is a kind of synonym to formation. You could use other words – discipleship, mentoring, etc. But sometimes those words get viewed in the sense of a 10-week class or internship programme. Those are not bad. But education, or formation, begins at a more basic level. Smith even challenges the notion that shaping a Christian worldview can simply reduce us to thinking machines rather than the holistic people that we have been created to be with desire at the core of who we are. And, so, he asks how we can form a faithful liturgy of education to stir the desire for a kingdom way of life. Eeeeeekkkk! Liturgy is such a religious word that we don’t get involved in today. Actually, we all get involved in liturgy. So, yes, liturgy. Using liturgy to form us, or educate us. As I understand him, Smith sees liturgy as the sensory elements of worship. He believes the aspect of liturgy should be incorporated into our ‘education’ – using the sensory elements to form people, to draw out the God-desire set deep within all. Taste, touch, smell, sight, hear. They are all necessary components of forming kingdom desire in us. And to clarify, he’s not really imagining concert-driven worship services, spotlight-focused sermons, java-filled foyers, etc. It could be much more ‘earthy’, if you will. It must be, I would posit. However, we are to ask and think deeply about how to form people in the desire of Christ through their senses – the smell of the wine as Christ’s blood, the taste of the loaf as Christ’s body, the touch of a splintered piece of wood, hearing a cry of brokenness, a pitch black room where our eyes can see not a thing. And there is SO much more. I don’t have all the answers. I don’t do this well. I’m only still learning how to utilise all the resources God has given to see us formed as we were created to be, forming the deep desire of the kingdom of God set within each. Maybe Bono was right about the bright lights, the big city, the red guitar. A liturgy to stir desire. In Desiring the Kingdom, Smith gives a kind of parable of the mall as a religious and liturgical institution that draws us in. Desire and the senses. Again, not by creating mall-type church building and gatherings. But something deeper beyond snazzy adverts and fireworks. And so, perhaps God isn’t dead. Though we’ve done our best to kill him – by killing desire or with surface mall-like gadgets that do not ultimately teach us of the desirable one. 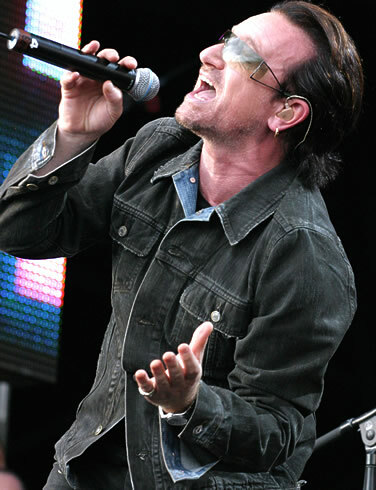 And that call is coming through all that we can touch, taste, smell, hear and see. Desire runs deep within us. Desire runs deep across all of life. Desire will shape and form us after the heart and desire of God and his kingdom. This entry was tagged books, desire, devotional, experience, faith, life. Bookmark the permalink. I think the problem inherent in Smith’s desire to “educate” us in desire using our senses, is that everyone experiences God (and has their desire stirred) in different ways. It’s a rather difficult thing to do in a corporate setting, and likely to lead to rote liturgy as is common in many churches today — We do this because it’s SUPPOSED to have an affect. Maybe our desire for God is something that should be explored on a more personal level, by each individual, rather than a corporate setting. I can understand a sermon or series about passion and the need for it and reasons why it’s a good thing. Maybe suggestions for how individuals might find their passion for God, but I don’t think trying to do those things corporately will really work well. To remember, first, Smith is advocating ultimately that educating (or forming people) is ultimately holistic (not just for the mind) and about reaching for the desire of the kingdom in people. Secondarily, he advocates forming people through the senses. We already engage in formation through all of our senses on a daily basis anyway. Think about it – not just in the classroom – but in life. How much our seeing, hearing, smell, touch & taste is part of learning in life. So we can utilise these senses in forming through discipleship. But being creative. I have no doubt people learn differently and this is not about locking any one method down. It’s simply considering how to form people holistically through drawing out the desire for the eternal things set within them. What better way than through the holistic senses. And btw the Visible Church in life and worship, is the great corporate act of the Body of Christ! But “passion” together is always the best form of Christian worship, but a spiritual passion wrought by the Spirit of God! *It is in reality the essence of Postmodernity to isolate and set apart the soul from the corporate, in both the life of culture and the religious. We can see this in the “deconstruction” of the history and reality of ontology! To quote a better definition of postmodernism: “A worldview characterized by the belief that truth doesn’t exist in any objective sense but is created rather than discovered.” But indeed the true Judeo-Christian reality will always be spiritual discovery ‘In Christ’! Remember, we’ve been naturalised in the unnatural. We weren’t meant to have these unnatural/sinful desires. Let’s draw out the eternal. Your focus on postmodernism is always on the extreme. There are some balanced thoughts. We can hold to objective truth, but we ourselves are not objective. So we have to be humble and careful in what we ‘objectively’ claim. http://plato.stanford.edu/entries/postmodernism/ And as to Postmodernism, the devil is in the details as they say! Let us not mask “humility” with the outright biblical and doctrinal error, of humanism! Btw, let me recommend to you and the blog readers here, the profound Evangelical Christian Francis Schaeffer, and his writings! And, “The last enemy that will be abolished is death.” (1 Cor. 15: 26) Note too, Rom. 5: 21, now it is only “grace” that reigns “through righteousness to eternal life through Jesus Christ our Lord.” Once again it is only through the Mediatorship of Christ! In this life, we are always but “sinners” in ourselves, our own humanity is fallen! OUR only remedy is our “death” & “resurrection” ‘In Christ’. (Col.3: 1-3) Indeed our “Biblical objectivity”! Btw just a philosophical-theological point, but I am not really a Thomist, and one of “Intellectualist/intellectualism” (Aquinas), but I am a “Voluntarist”. See the problem of intellect and will in some of Richard Muller’s writings (his chapter of “Fides” and “Cognitio” in Relation to the Problem of Intellect and Will in the Theology of John Calvin, chapter 9, in his book: The Unaccommodated Calvin, etc. pages 159 – 173). Calvin was no doubt a Voluntarist! “But in the logical order Scripture is the sole foundation (primcipium unicum) of church and theology. . . . Not the church but Scripture is self-authenticating, the judge of controversies. . . . and its own interpreter (sul ipsius interpres). Nothing must be put on a level with Scipture…. Scripture alone is the norm and rule of faith and life.” (Bavinck). And indeed this epistemology runs counter to the whole of both modernity and postmodernity, as too even Thomism!